I just wanted to share some cute photos of the birthday girl!! 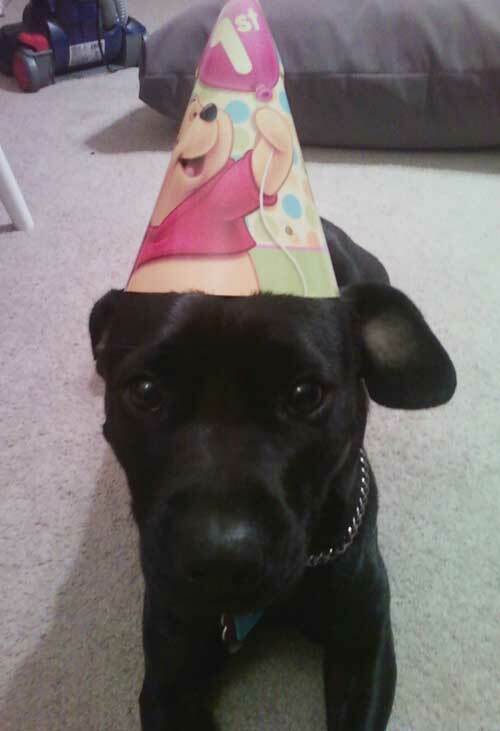 She sure had a birthday party to smile about. (I created a birthday for her on Valentines Day because she’s my little valentine). 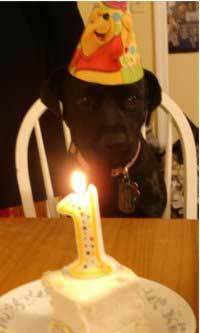 She had a little party with a little cake, hat and candles and even some juicy canned dog food. I think she enjoyed herself. I wanted to share her photos cause I thought she was just adorable!